What is a fractured hip? Fractures of the hip joint most commonly involve a break in the upper portion of the thigh bone (femur), where it attaches to the ball of the hip joint. This region is known as the 'proximal femur' or 'femoral neck'. 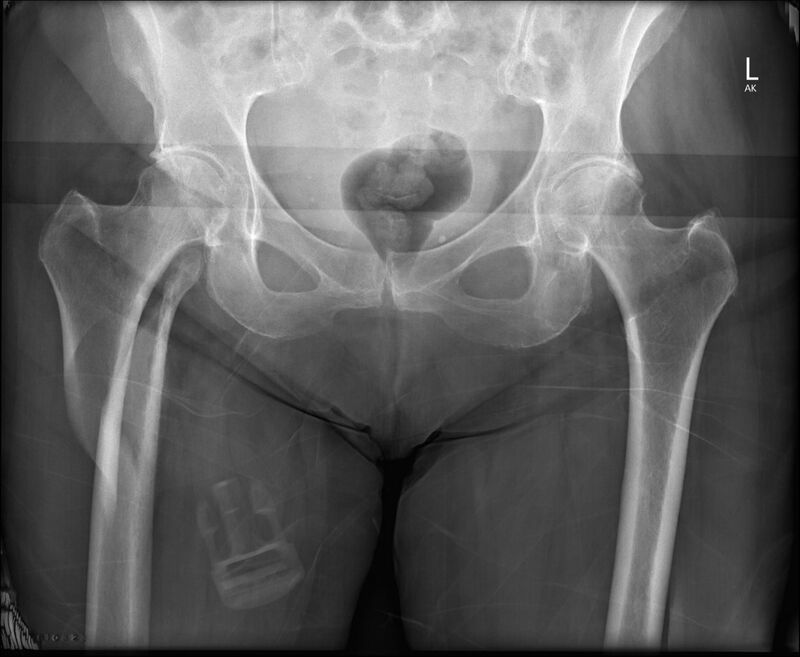 Hip fractures commonly occur in patients with established reduction in the bone density (osteoporosis). In patients with osteoporosis, fractures may be sustained after only relatively minor trauma or simple falls. 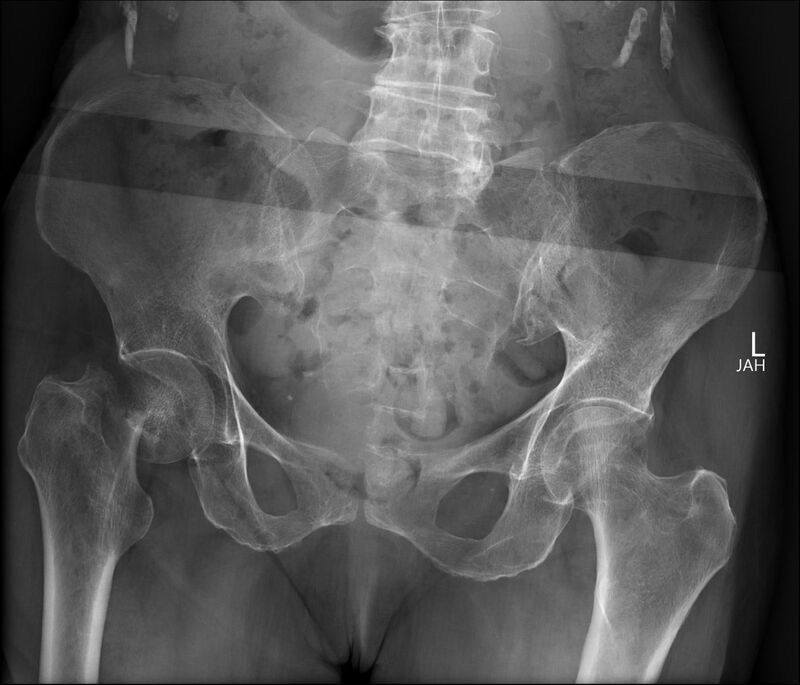 Hip fractures can also occur in patients with normal bone strength after more severe injury (e.g. motor vehicle accidents) - in this situation hip dislocations, socket fractures, pelvic injury or other injuries unrelated to the hip may also be sustained. The term 'hip fracture' however commonly refers to an isolated fracture of the upper femur. How are hip fractures treated? In most situations where a significant hip fracture has been sustained, surgery is recommended. As many patients with hip fractures also have other health problems, other specialists (eg. Physician, Rehabilitation Consultant) are often asked to assist with various aspects of ovreall health management. After the surgery, most patients are instructed to full weight bear on the operated hip as desired, however regaining steady and confident walking may take some time. Often admission to a Rehabilitation Unit is useful to help regain confidnece and mobility after hip fracture surgery. What types of operation are recommended for hip fractures? Broadly speaking, surgery for hip fractures is divided into two groups - internal fixation or joint replacement. When is internal fixation recommended? Internal fixation involves placing the bone back into correct alignment and holding the position with a combination of metal devices such as plates, screws & rods. 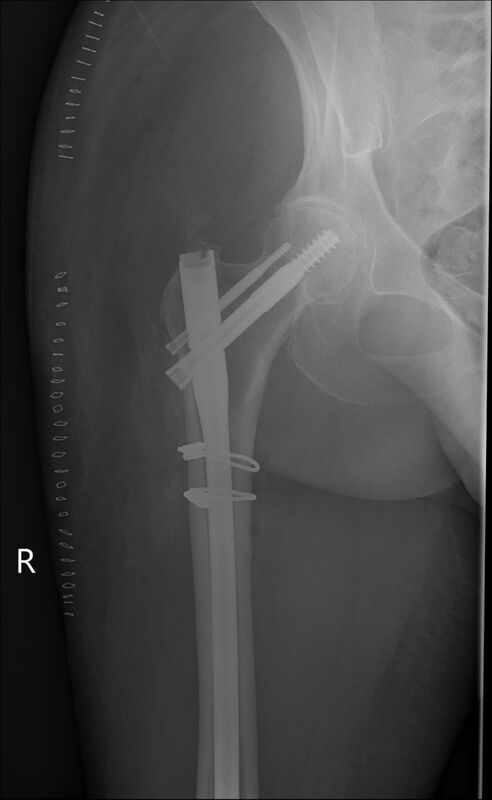 The metal devices hold the fracture fragments until the bone unites. Removal is not usually recommended. When is joint replacement recommended? Some patterns of hip fracture have an unacceptably high risk of complications if treated with internal fixation. In these situations, joint replacement is recommended. 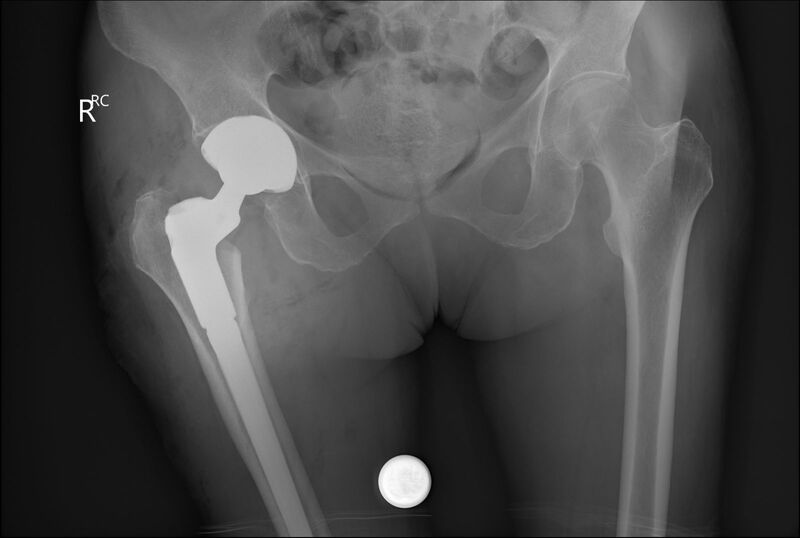 Joint replacements used in hip fracture treatment may be 'half' hip replacements (where only the broken ball is replaced) or Total Hip Replacements (where both the broken ball and socket are replaced). Which joint replacement is recommended depends on a number of factors such as age, general health, activity level and pre-existing joint arthritis. This information has been written by A/Prof Patrick Weinrauch for the purposes of patient education. The details provided are of general nature only and do not substitute for professional recommendations based an individual clinical assessment.